Description: BIG 59x124 lot in South Granville priced at BC tax assessment. Great opportunity to build a new house over 5100 sq ft, or live/rent the current 1942 house that has had extensive renovations done. With new electrical & plumbing, pot lights throughout, new legal suite down (was rented at $1500 per month), new bthrms, updated kitchen, hardwood floors throughout, double garage, southern exposed backyard with NO big trees; this is a great buy at this price. Waking distance to Oakridge Mall and Skytrain. 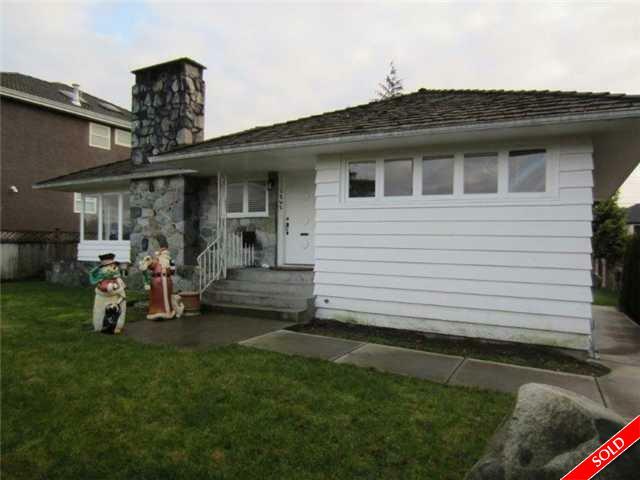 Close to VanDusen Botanical Garden & private school Vancouver College. Osler elementary & Hamber high school catchments. Drive by and then call to buy!